Motor museum | Toyota has existed for over 100 years. It goes without saying that the marque has introduced a lot of vehicles during that time. 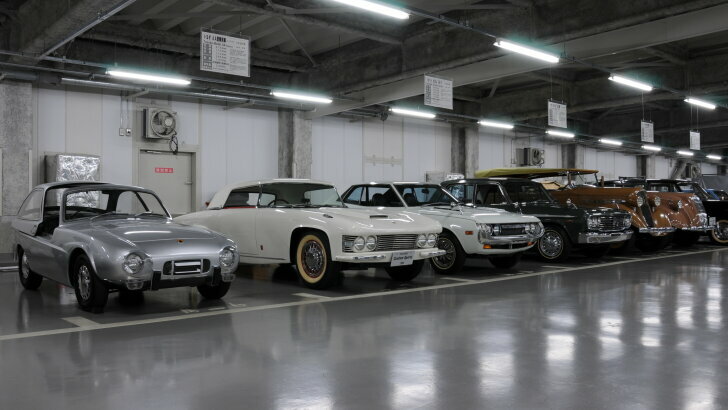 Yet, for a long time there was no proper car museum in Japan. That is why in 1989 the "Toyota Automobile Museum" was founded near the headquarters of Toyota in Toyota City, Japan. 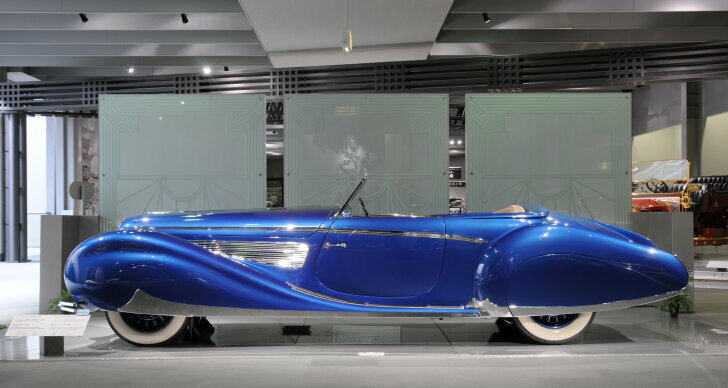 Autozine visited Japan's number one car museum and was pleasantly surprised. 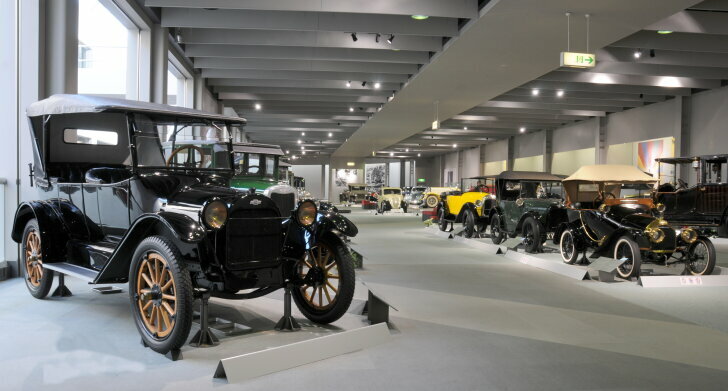 The name "Toyota Automobile Museum" suggests that this museum shows the history of Toyota. And indeed, at the main entrance the most prominent car on display is an "AA" (replica). That's because the "AA" (1936) was the first production model ever from Toyota. 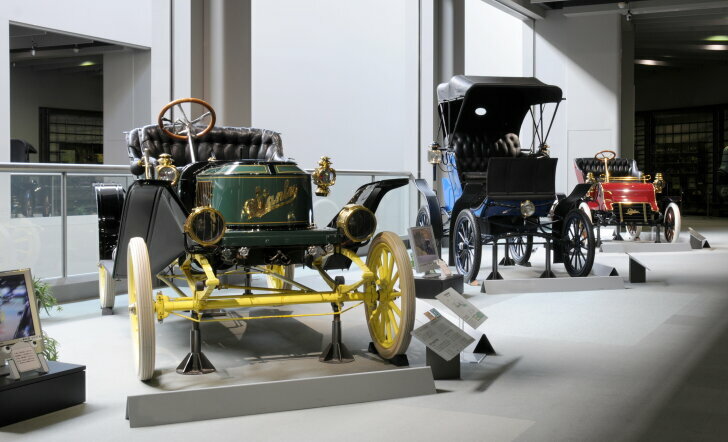 The next vehicle on the route through the museum is a replica of the Mercedes-Benz Patent Motorwagen (1886), the first ever production car in the world. It turns out this museum is founded by Toyota, but there are cars from other brands on display as well. In fact the first floor is entirely dedicated to European and American cars! The purpose of the museum is to show how cars for the common people have evolved, exactly what Toyota excels at. Purposely this museum doesn't specialise in racing cars, exclusive cars, cars once owned by celebrities or high tech gadgets that never reached a general audience. Yet, special cars are cherished by their owners and therefore automatically last longer. And because the first cars were so expensive -only the rich and famous could afford them-, the oldest cars in the collection are big, expensive vehicles. Most European cars on display can also be seen in Europe, so they are mainly interesting to Japanese visitors. In fact, a large part of the collection has been acquired through the Louwman Collection, a famous Dutch car museum. Some of the cars in this Japanese museum still have Dutch license plates! 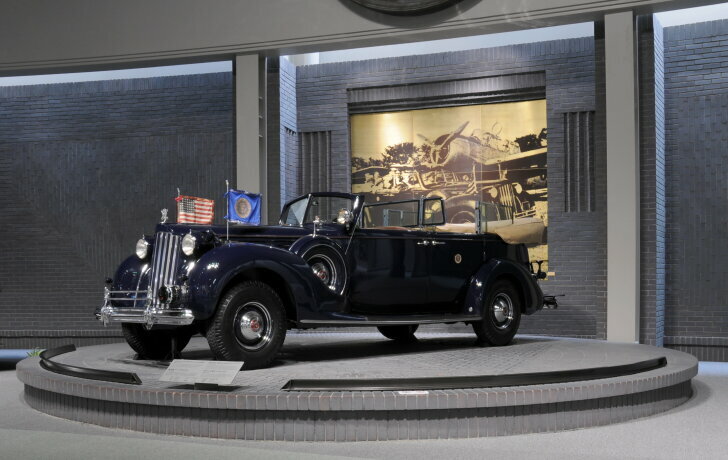 A unique western vehicle is the "Packard Twelve" (1939) that was once owned by American president Roosevelt. Despite the fact that this is a convertible, it has still been armour-plated, and weighing in at 3.5 tonnes it is the heaviest car in the collection. The guide's favourite car is the "Delage Type D8-120" (1939). She describes it as the ultimate manifestation of French beauty. Delage started his career building sports cars, but after winning various races concentrated on elegance rather than performance. The second floor of the "Toyota Automobile Museum" is entirely about Japanese cars. Because these are underappreciated or even absent in Western museums, this is the most interesting part of the museum for foreign visitors. And yet another surprise awaits at the entrance, because the first cars on display carry Austin, Hillman an Renault logos. That's because in the early days Japanese carmakers licensed European cars, so these European branded cars are in fact Japanese made. In the late 1950s Subaru was the first Japanese brand to offer a small, affordable car for the common man. The "Subaru 360 Model K111" (1958) was the best selling domestic car for ten years in a row. That fun looking cyclops next to the Subaru is a "Fuji Cabin Model 5A" (1955); a scooter with a roof for those who could not even afford a small car. In 1969 Subaru lost its number one spot to the "Honda N360". The Honda wasn't just more affordable, it was also technically superior. Later the N360 was sold in Europe with a 500 cc instead of the Japanese 360 cc power train. On the panoramic photo the Honda N360 (far right, beige) can be seen next to its most important rival from that time: the "Suzuki Fronte" (dark brown). The light blue convertible is a "Daihatsu Compagno Spider" (1965); one of the first Japanese leisure cars for the common man. Daihatsu released this car in the same year the first Japanese Grand Prix was held and the landmark "Meishin" highway was opened; both meant driving a car was no longer merely for transportation but also for fun. The red sports car (on the panoramic photo on the far left) is the favourite of the curator of the museum. 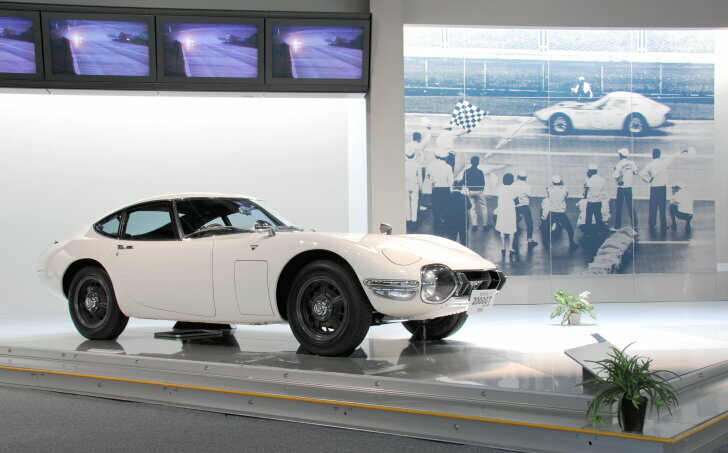 It is a "Toyota Sports 800" (1965). At this moment it is a highly sought-after collectors item. Without actually mentioning a price, the curator does mention that a used Sports 800 costs about 10,000 yen per kilogram. Do the math... The name "800" refers to the two-cylinder air cooled engine with a displacement of just under 800 cc. The Sports 800 isn't just loved for its handling, but also because of its history. 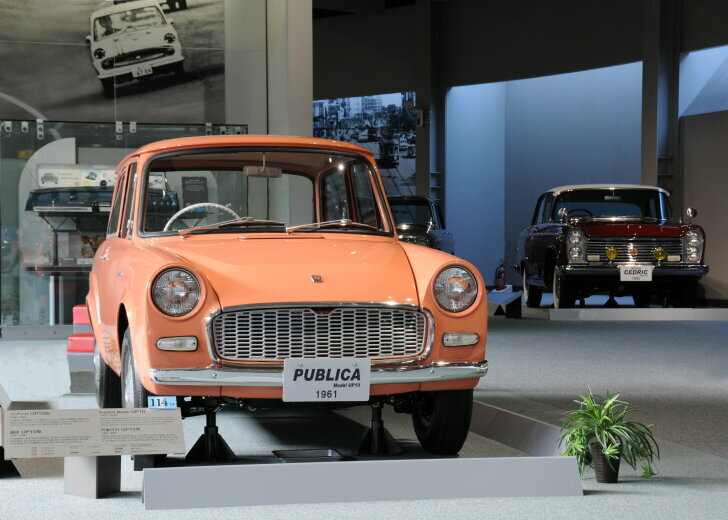 The "Sports" is based on Toyota's ugly duckling: the "Publica". When the curator notices the Autozine editor is just as fond of the 800 as he is, he mentions that the original prototype is stored in an adjacent building. Vistors are not allowed there, but for this one time the visitor from afar was allowed a short visit to this unique storage. 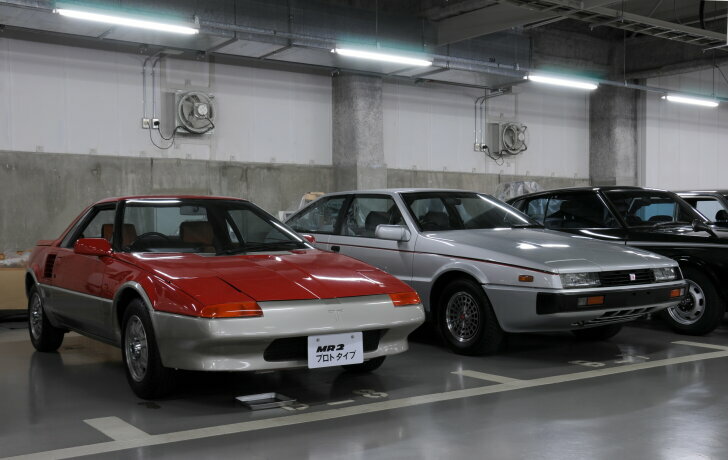 Next to the promised prototype there's also the first "Toyota MR2 Concept" (1984) and no less than four examples of the "Toyota 2000 GT". As if it is no big deal, the curator mentions that these cars are now worth about twenty times their original price! The first generation (1966) is most popular, so one of those is on display in the museum. In 1999 the tenth anniversary of the Toyota Automobile Museum was celebrated by building a new wing. Here it's not about the car, but about the influence of the car on daily life. That's why a shopping street has been recreated where every shop shows a different era. To make it look more lifelike accessories, magazines and toys of that time can be found inside the cars. The "Toyota Automobile Museum" in the city of Nagoya in Japan consists of two buildings in which some 120 classic cars can be seen. Despite the name, this isn't a Toyota-only museum but a general car museum. What also makes it special is the fact that this museum doesn't show the usual sports cars and exotic cars, but instead focusses on cars for the common man. Half of the collection consits of Western cars. Most of these can be seen in European museums or even local classic car shows in Europe. 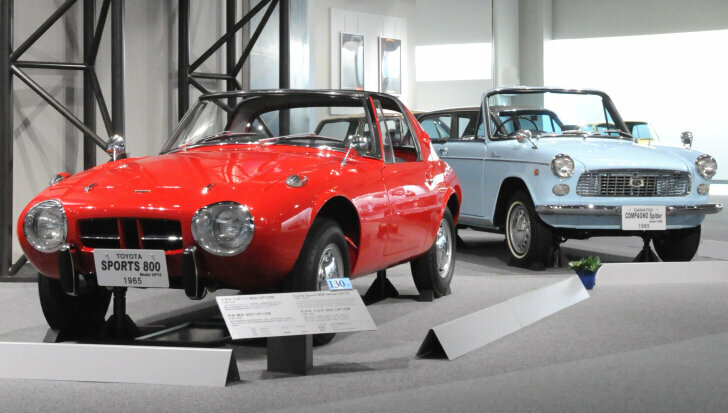 It's the collection of Japanese cars that makes it worth while to visit the Toyota Automobile Museum. These are hard to find in Western museums but are abundant in Nagoya. Toyota is prominently on display, but there's plenty of room for other Japanese carmakers as well.